Born in Melbourne Victoria on January 16th 1945, Alan Mclay was a keen sportsperson playing representative water polo and rugby union. He also played AFL and was an avid supporter of the Essendon Bombers. Like the Bombers, Alan was not afraid to accept life’s challenges and so in November 1964 he arrived in Papua New Guinea as a Cadet Patrol Officer (kiap). He worked alongside senior statesman Jerry Nalau during the pre independence Australian Government and carried on with this service in the years following independence. 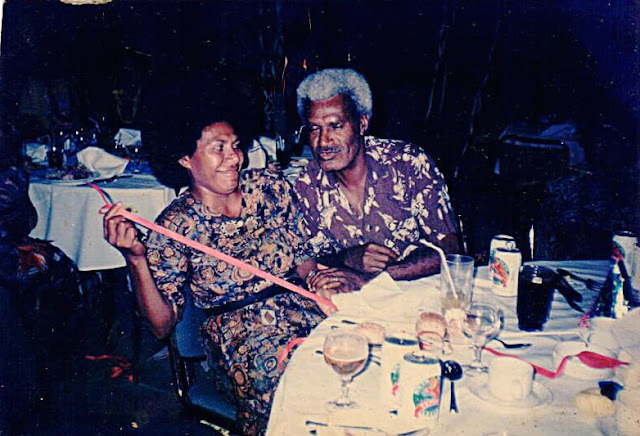 After tours of duty in East New Britain, Chimbu, Bougainville and Madang, in 1977 he took up the role of Deputy District Commissioner in Lae. For all Kiaps, there are many stories about events that took place during their service. Some have been told so many times they have become folklore and others have become individual standout moments. The first story was told to me by a Papua New Guinean who served with Alan as a trainee patrol officer in Chimbu. We have to remember that kiaps were also magistrates authorized to preside over court with powers of sentencing and jailing. 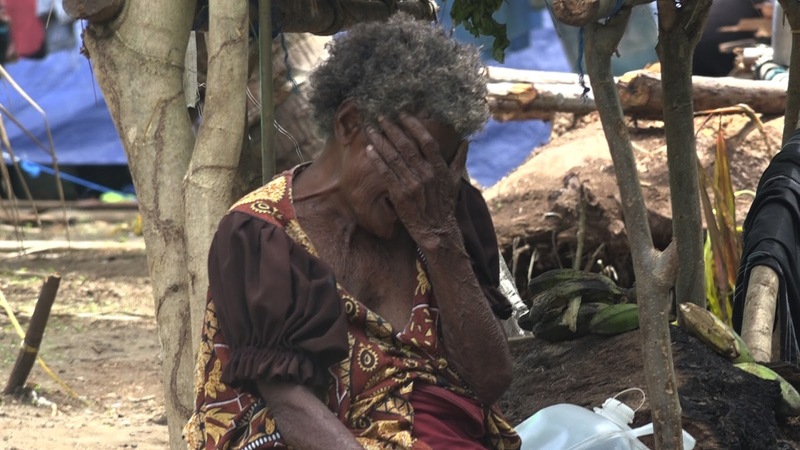 In 1974, 44years ago and the year before PNG gained Independence, Alan was alerted that two clans were engaged in a savage tribal fight at Nembari Kuima in Sinesine, Chimbu. He arrived at the fight to find two people had been killed and many more wounded with spears and arrows. With his arrival there was a bit of lull and hesitation in the exchange of arrows and ceasing the moment he marched up to the fight leaders of one clan an dafter speaking to them took their bows and arrows and broke them across his knees. This took many by surprise. He then did the same to the other clan and with the support of his police officers stopped the fight subsequently. The administration arranged a huge raid and arrested all the warriors of both clans involved and were duly courted and jailed by ADC Mclay for 6 months with hard labor. For years afterwards, warriors who had been jailed or their families brought Alan gifts of food in gratitude for the lives he had saved by treating both sides fairly to stop the fight. The second story was in 1975 the year of Independence when Alan was escorting a 27year old Prince Charles through large numbers of PNG tribesmen and women who were all traditionally dressed. I am sure you all can all envisage the scene with chanting singsing dancer in their finest regalia. Alan was introducing the Prince to the various dancing groups pointing out the different headdress plumages. The Prince seemed very with the ladies’ traditional dress. Being an expert interpreter, when the Prince asked what the ladies were saying, Alan turned the talk from shy “askim” about the Prince into general welcomes to Your Highness. In 1985 Alan left the government to join Sullivans Ltd, a large private sector wholesaler and retailer as Administration Manager. His knowledge of PNG and government processes has been a great benefit to a rapidly expanding business. Alan's contribution to Lae will be covered in Part 2 of this story. This afternoon I followed the casket of Late Allan Mclay from the funeral home to his family home at Wagtail street in Lae where he will spend his final night with families and friends. Late Mclay was a true patriotic son of Lae. Someone who committed his life and contributed immensely to Lae’s growth and transformation for more than 60years. Late Allan Mclay was born on January 16th 1945 in Victoria, is the second of two sons and went to school in Melbourne. In 1960, he volunteered to become a Cadet Patrol Officer – KIAP and came to PNG. Late Allan Mclay was one of few expatriates that I have come to know who have truly served as the mouthpiece of the people in his capacity as a KIAP and the President of Lae Chamber of Commerce and Industry. One day in 2016, he told me how appreciative he was about what the media was and had been doing in Lae highlighting issues that are of great concern for everyone in Lae and Morobe. He pointed to the dusty pot-hole ridden Milfordhaven road and told me how important the road is to Papua New Guinea’s economy – the road leads from the second largest port in the Pacific, the Lae Port. A few years forward and in 2017, the stretch of road from main wharf to Snack Bar was sealed. All thanks to the Mr Mclay who was vocal in pushing for that road to be fixed. Late Allan Mclay was also instrumental in pushing for the Lae roads rehabilitation program in 2012 of which almost all parts of Lae City now enjoying concrete sealed roads. He once told me told that there must be no pedestrian crossings 100meters apart in the miles area - a once notorious area known for car jacking and armed hold-ups. A week later, the contractors working on the new four-lane highway were advised to remove the crossings and only marked one at 5mile and 6mile. 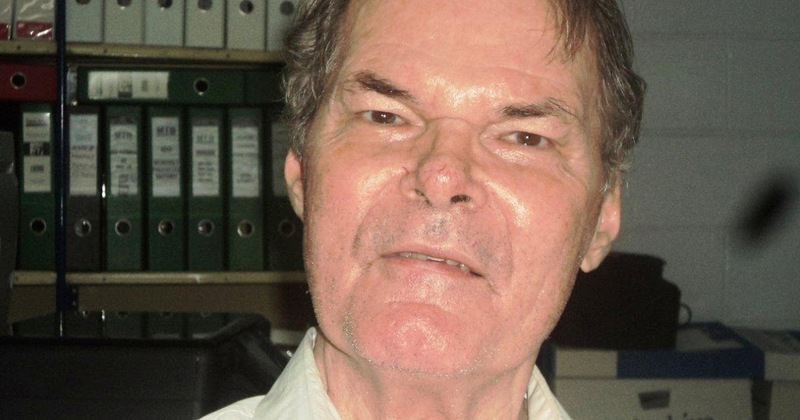 He was instrumental in setting up dialogue between politicians, inter-government agencies, NGOs, the business community together with the people of Lae. He was someone despite his age and health was more concern about the wellbeing and growth of Lae and the fruition of commerce and industries. Late Allan Mclay had a lot in store to make Lae a better place, he was passionate in everything he does. He was well supported by a strong woman in wife Nellie, who always stand behind her husband to move agendas that are greater concern and wellbeing of women and children in Lae. 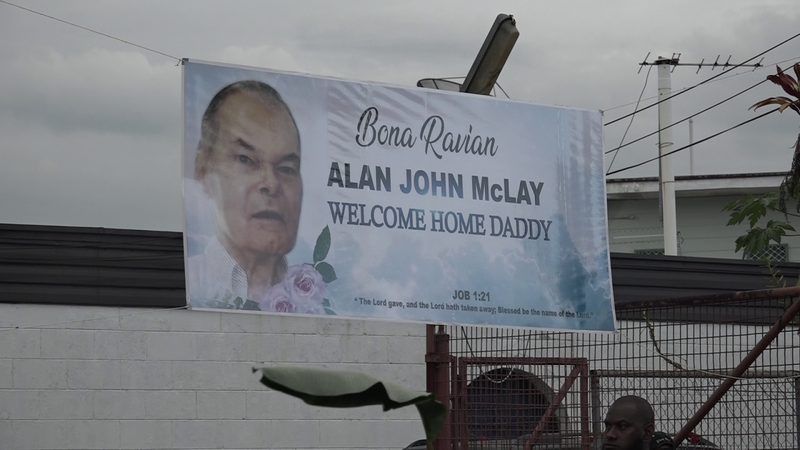 Late Allan Mclay has been an icon in Lae who has been vocal on everyday issues affecting the lives of businesses and communities in the city. He was proactive in keeping the people of Lae informed on the latest development in the city and also engaging healthy dialogue between the government, business community and the tax payers of Lae. He has been supportive in restoring Lae back to it’s glory days like how it was when he first came to PNG as a KIAP. He always contributes ideas and guide decisions that will be of the greater benefit of all the people of Lae and the neighbouring towns. He was just 12 days away from celebrating his 73rd birthday when he passed away on January after being ill for the last three weeks. He leaves behind his beautiful wife Nellie and two chidlren Alister and Kathreen. Late Allan Mclay will be laid to rest on January 11th, and I know he would be celebrating in Heaven with all the angels. Till we meet again on that Golden morning. Rest in Peace Mangi Lae. 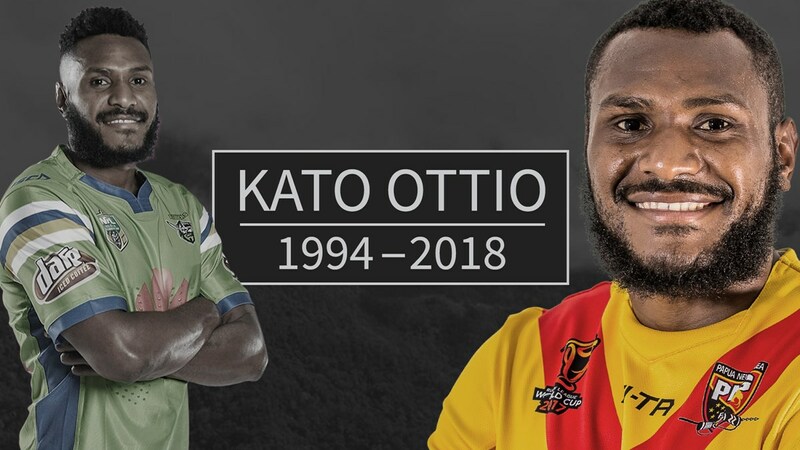 I have never seen national unity like these in many years; The 2017 Rugby League World Cup games in Papua New Guinea and now the sudden passing of a great hero and role model Kato Ottio a true PNG Kumuls star. I was personally devastated with fellow country men and women across our great nation, neighbouring countries and rugby league followers worldwide. I never believed a young soul, a gifted and promising athlete would have been taken away so prematurely by our good Lord. 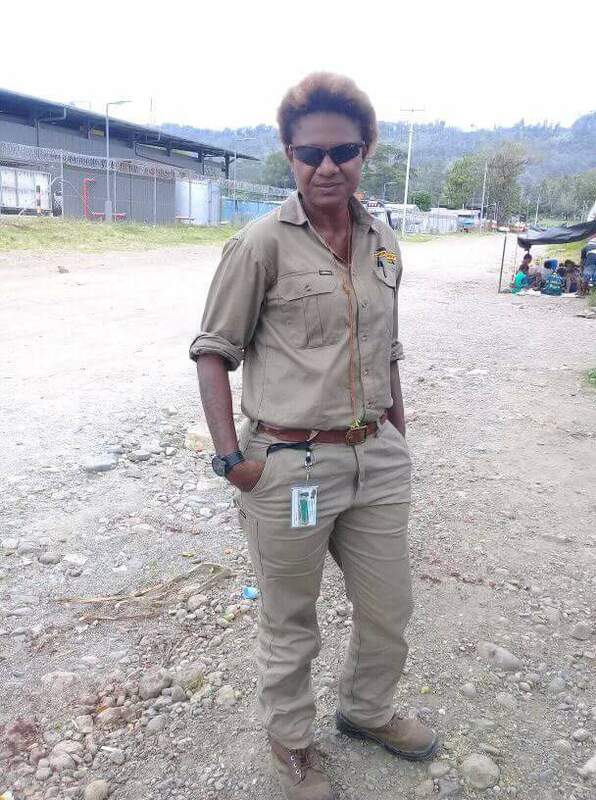 I never came to meet this great brother Kato, but have followed his career with keen interest and pride that he is a blessing to his single mother, his family, tribe and the nation of PNG. His elevation to become one of the few role models in the sporting arena in PNG is a testimony to all grassroots athletes in our country. Kato is due to join his new English Super League club Widnes Vikings for the 2018 season following an outstanding performance for the Canberra Raiders in 2017 and his mamagraun in the 2017 RLWC. PNG rugby league followers were left jaw-dropped, many of us didn’t want to accept the fact that he’s gone. I had to call PNG Rugby League to confirm his passing. PNG is a very diverse country, rugby league has certainly united this nation despite political and financial setbacks. It’s people like Kato Ottio that have set the stage for national unity. From humble beginings, Kato has rose up to represent PNG in volleyball and later to rugby league. He moved on represent PNG overseas, bringing a large PNG alliance of supporters to his former club Mounties and Canberra Raiders. Today a nation is mourning, people from all age groups, from all walks of life are reading your life brother Kato. We never expected for you to be lying here lifeless, we were gearing up to celebrate national unity in rugby league. It was a promising year for five of our Kumuls to join English Super League, you were part of them. You broke our hearts Kato, rugby league would never be interesting for some us without you. Thanks for being a belessing to our beloved sport and beloved country.